As doulas, we provide hands-on physical and family-centered emotional support for families choosing to give birth in the hostpital. The woman's partner (the baby's father or another loved one) is essential in providing support for the woman. A doula cannot make some of the unique contributions that the partner makes, such as a long-term commitment, intimate knowledge of the woman and love for her and her child. The doula is there in addition to, not instead of, the partner. Ideally, the doula and the partner make the perfect support team for the woman, complementing each other's strengths. In the 1960s, the earliest days of fathers' involvement in childbirth, the expectation was that they would be intimately involved as advisors, coaches and decision-makers for women. This turned out to be an unrealistic expectation for most men because they had little prior knowledge of birth or medical procedures and little confidence or desire to ask questions of medical staff. In addition, some men felt helpless and distressed over the women's pain and were not able to provide the constant reassurance and nurturing that women needed. 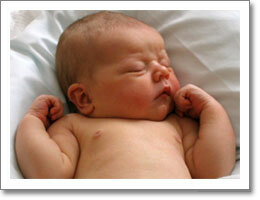 With a doula present, the pressure on the father is decreased and he can participate at his own comfort level. Fathers often feel relieved when they can rely on a doula for help; they enjoy the experience more. For those fathers who want to play an active support role, the doula assists and guides them in effective ways to help their loved ones in labor. Partners other than fathers (lovers, friends, family members) also appreciate the doula's support, reassurance and assistance. Women have complex needs during childbirth. In addition to the safety of modern obstetrical care, and the love and companionship provided by their partners, women need consistent, continuous reassurance, comfort, encouragement and respect. They need individualized care based on their circumstances and preferences. The role of the birth doula encompasses the non-clinical aspects of care during childbirth. This paper presents the position of DONA International on the desirability of the presence of a birth doula at childbirth, with references to the medical and social sciences literature. It also explains the role of the doula in relation to the woman’s partner, the nurse and medical care providers. This paper does not discuss the postpartum doula, who provides practical help, advice and support to families in the weeks following childbirth. The postpartum doula is the subject of another DONA International Position Paper.